What Kind Of Doctor Treats Fibromyalgia? 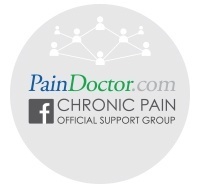 Home/Inside Pain Blog/What Kind Of Doctor Treats Fibromyalgia? There isn’t just one type of doctor that treats fibromyalgia. Patients benefit from the combined knowledge of a variety of doctors, both generalists and specialists in different treatment approaches. Read on to learn what kind of doctor treats fibromyalgia as well as how to find the best fibromyalgia doctors in your area. First off–and most importantly–it’s not all in your head. It’s a serious syndrome that has thousands of peer-reviewed studies into its symptoms, causes, and treatments. If you’ve visited a doctor who’s suggested anything differently, it’s time to find a new doctor. Unfortunately, many healthcare practitioners aren’t well-versed in the latest research and advances in fibromyalgia management. And, while they may have the best intentions, these healthcare practitioners can cause unnecessary time spent without a diagnosis and without a credible treatment plan. In fact, the average patient waits two years before getting a fibromyalgia diagnosis. Primary care physicians can be your #1 ally in getting a fibromyalgia diagnosis. Unfortunately, they can also act as gatekeepers, keeping some patients from getting answers if they have limited experience with fibromyalgia. It’s not necessarily their fault–primary care physicians are required to know about a vast and complicated range of health conditions. They have to be able to treat gastrointestinal issues during one visit, stress-related headaches the next, and counsel a couple on fertility options after that. Since fibromyalgia has a long history without a diagnosis, they may not necessarily be well-versed in this syndrome. However, if you’re working with a doctor who you trust and who listens to your concerns, you’re on the right track. Talk to them openly about what’s going on, as well as any triggers that may be causing your pain or fatigue. Be candid. Open. Honest. Keep a journal of the symptoms you’ve experienced. A great primary care physician is an expert at lining up the most appropriate treatments for their patients. With the right doctor, and the right information, they can help get a diagnosis and manage your treatment plan. Or, if they’re inexperienced with the syndrome, they can help you find fibromyalgia doctors that are right for you. For many patients, their primary care physician will continue to be a part of their healthcare team no matter what other support specialists they visit. Find a doctor you can trust to lead you through this process, from the very beginning. After you’ve talked to your primary care physician, many patients will next visit a rheumatologist. Fibromyalgia shares many symptoms in common with rheumatic diseases like arthritis and lupus. Diagnosing fibromyalgia in particular often comes down to excluding similar conditions, as we discussed recently. Many fibromyalgia patients continue to see rheumatologists as their primary fibromyalgia doctor. However, you should only continue seeing them if they advanced experience treating fibromyalgia. Many of these doctors specialize in conditions that are specifically not fibro, like arthritis or lupus. A good rheumatologist will be forthcoming with this information, and able to suggest other options if they don’t have direct treatment experience. For those with moderate or severe symptoms of fibromyalgia, a pain specialist may be your best choice. Pain specialists are highly-trained in treating, diagnosing, and providing ongoing care for chronic pain patients. After their general residency, these doctors attend an additional one-year fellowship in pain management. They’re often on the cutting-edge of new treatment methods and work every day with patients suffering from severe and chronic pain. The best pain specialists will encourage a comprehensive, team-based, and holistic approach. While medications can help with fibromyalgia symptoms, these shouldn’t be the sole or even primary method for treatment. The best pain specialists use a variety of treatment methods to create a pain management plan that’s best-suited for you. The following video gives a brief overview into what pain doctors do. Finally, some patients also see a neurologist for help diagnosing and treating their fibromyalgia. These specialists are experts at diagnosing disorders of the nervous symptoms. However, they’re not typically the best choice for continued care and management since they are so specialized. What other healthcare professionals will I see? Managing fibromyalgia doesn’t end with a diagnosis. You’ll likely work with a team of doctors to coordinate care. This will be overseen by one doctor–your primary care physician or a pain specialist–and include other professionals as needed. Many of these will manage secondary symptoms of fibromyalgia, from mental health disorders to plantar fasciitis to inflammatory bowel disease. Up to 62% of all fibro patients will experience depression in their lifetime. Another 56% will experience anxiety. There’s a major connection between mental health concerns and fibromyalgia that healthcare professionals are only now starting to unravel. If you suffer from fibromyalgia, know that there is help. And, it’s an important and vital component of any long-term healthcare discussion. As with any doctor, make sure you feel safe and respected when interviewing a potential therapist. Your doctor may recommend a psychologist, psychiatrist, counselor, or other form of mental health support. Depending on what works best for you, you may work with someone who specializes in cognitive-behavioral therapy or acceptance and commitment therapy. They’ll help most with specific painful areas, like plantar fasciitis, neck pain, or lower back pain. Further, occupational therapists can help you optimize your work environment, improve function, and reduce repetitive stress injuries. Chiropractors offer a non-invasive treatment approach that can work best for patients who suffer from spinal or referred pain. Read more about the benefits of chiropractic care in one of our recent posts. If fibromyalgia is seriously affecting your sleep and leading to severe fatigue, you can also visit a sleep specialist for help. They can suggest modifications, sleep medications, or other therapies. As with your primary team, these secondary specialists should be committed to helping you with fibromyalgia. Trust your gut, and stick with doctors that make you feel safe, respected, and acknowledged. What questions should you ask potential fibromyalgia doctors? Are you comfortable with diagnosing and treating fibromyalgia? How many patients with fibro have you treated? What are your go-to treatment approaches for fibro? What are your goals when it comes to pain control? Do you recommend medications and, if so, which ones? How do you handle mental health concerns with fibromyalgia? What should I do at work and at home to manage my symptoms? How do you feel about complementary and alternative therapies? What do you suggest when it comes to exercise? What’s the best way to communicate–are you open to email, phone calls, or text messages? Pay attention to their answers and your gut when listening to their answers. A good doctor will spend time answering your questions. You’ll feel heard. Respected. They should be willing to work as partners in your healthcare team, suggesting treatments that work best for you and your lifestyle. They’ll also be highly knowledgeable about fibromyalgia, and will have helped patients reduce their symptoms. Now that you know what kind of doctor treats fibromyalgia, it’s time to find them in your area. Those who live in urban communities will have the most options, but that doesn’t mean those who live in rural areas are out of luck. Both in-person and online recommendations can help. A local fibromyalgia support group is your best bet for finding high-quality recommendations for local fibromyalgia doctors. These patients intimately know what treatments a doctor will suggest, their treatment philosophy, and how they’ve helped with their symptoms. Find a group in your area here. And know that certain doctors match better with certain people. Just because members of your group raves about one doctor doesn’t mean they’ll be the perfect match for you. Always go with your gut. You can also use review-based sites to find local doctors. We discuss this in-depth in a recent article on finding doctors near you. If you already have a trusted primary care physician, they’ll most likely play an important role in your treatment plan. Talk to them and ask for recommendations for specialists in your area. If you’re new to an area, you can also ask your insurance representative for advice about in-network fibromyalgia doctors and practitioners. What treatments will fibromyalgia doctors use? Fibromyalgia doesn’t have an easy answer. But, there are therapies that can help reduce your symptoms and get back to your life. To find a pain specialist who treats fibromyalgia in your area, click the button below.